With new marketing trends emerging seemingly every day, the thought to try something new or flashy to market your event can certainly be tempting. But more often than not, many event planners still rely on and have great success with email marketing. While the images and content you include in your marketing emails may change along with your brand’s evolvement, there are many basic qualities you should remember to entice new attendees and to keep your loyal ones coming back. Is my email marketing consistent and easy to read? Consistency is one of the most important aspects of email design, so make sure to always include your event’s logo, colors and other graphic elements in your emails to tie everything together. At the same time, don’t overload the imagery so that it appears cluttered or busy, which can be a major turn off for readers. Make important actions, like registering, utilizing a discount or even following social media accounts, easy to find by including buttons and widgets. Don’t forget to keep mobile in mind! With more people checking email on their smartphones and tablets, make sure your emails are easy to read, scroll well and are mobile-friendly overall on popular devices. Is my email marketing simple and personal to my attendees? What goes well with a simple and clean email design? Equally simple and clean messaging. Only include information that’s crucial for your attendees to know in that moment (like discount specials, registration deadlines, etc.) and link to your event website for the rest. To make deciding what content to include an easier process, plan it out on a calendar ahead of time. Are my email marketing messages timely? When it comes to scheduling and sending emails, finding the right balance throughout your event timeline is critical. You want to send enough emails to keep attendees up to date and interested, but also not so many that you’re overwhelming them, causing them to ignore you or send emails straight to their junk box. This is where planning ahead with a calendar can also help. Consider sending emails on a regular monthly or bi-weekly basis, increasing as needed the closer you get to the event. Use software that can track who has already registered to avoid email overload to already committed attendees. Tracking clicks and opens during certain times of the year or even times during of day can also help you find the email scheduling sweet spot. Email marketing for events is still around because when you do it right, it works! While it’s good to experiment, try not to get too caught up in flashy trends and make sure your traditional marketing methods, like email, are high quality and reliable. 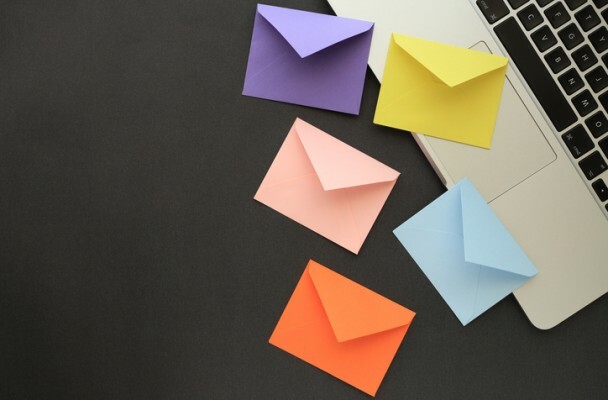 To learn more about how to create successful email marketing campaigns for your events, check out our email marketing cheat sheet.